Anybody tell me what shock this is? Yamaha, but that's all I know. Going out on a limb here, but this looks like an 80's kind of deal with the metalic ****/adjuster. Perhaps walking into a Yamaha dealership with it in your hands will get you a quicker answer. Depending on length it may fit but is it rebuildable and are parts available. It looks like an older Yamaha YZF600 shock to me. 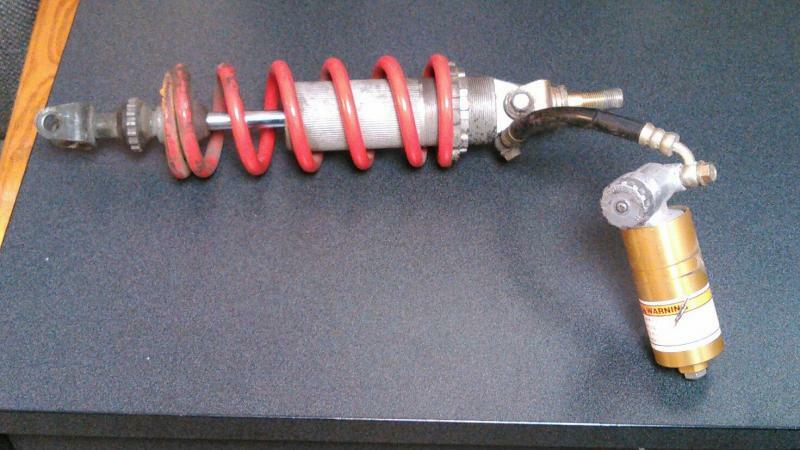 There were other models that used a similar looking shock too. Even the Banshee and Warrior used a shock that looked similar but those have much longer hoses.